I know that this is a DIY/Craft/Recipe/Lifestyle blog where I encourage you to make things and all around do it yourself because if I can...so can you. But in honor of my efforts at giving myself grace, I'm going to share with you my garden. My immensely downsized garden--but we're sure excited about it. I'm hoping that I'll be able to share with you how my garden grows later in the season. And in an another effort to show that I need grace, all of the pictures for this post is taken with my iphone. Because with one child having had pinkeye, and then getting it myself...well, I simply had to make some sacrifices. Here's what our old garden was. Two 4'x8' beds. We've had them since the first growing season after we moved in, so around 6 years. I have loved having raised beds, but the wood we used has simply rotted away. 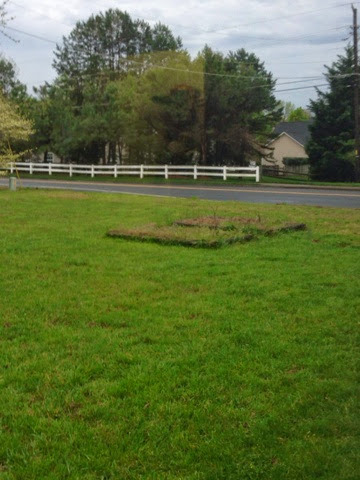 Last year, we battled with grass entering the bed, and honestly, last year I discovered that I really didn't have the time to maintain 2 beds. They are also at the back corner of our lot, near the street, so it was a little inconvenient to water and to let my oldest pick some veggies for dinner. So this year, I decided to scale way back, and bring the whole shebang closer to my house. 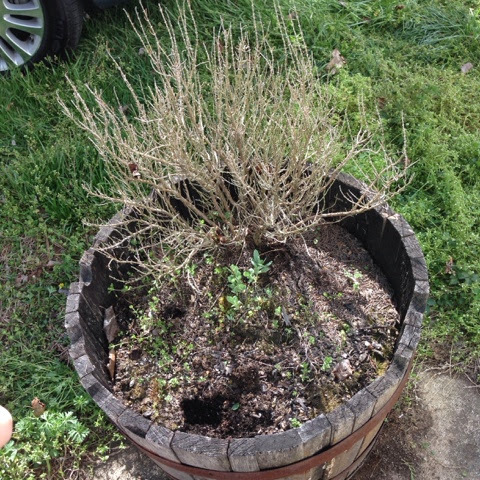 So here's our plan: dig out the old rosemary that died last year in the barrel planter. This is now our herb garden. 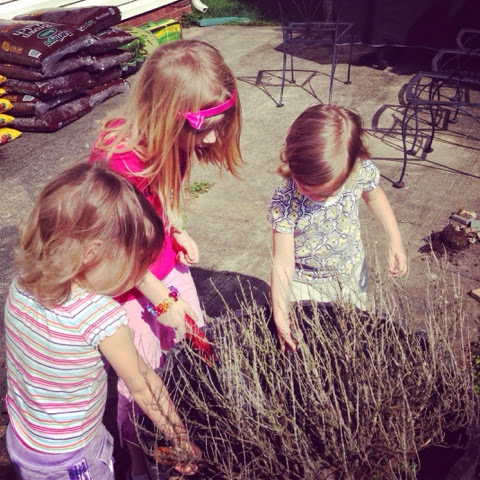 My girls had loads of fun digging the roots out and pulling out weeds. 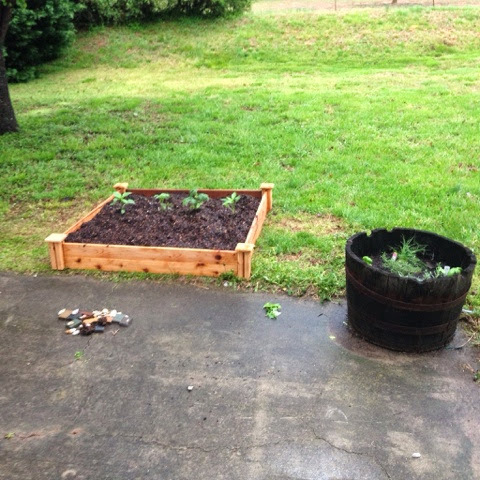 We planted rosemary, lavender, basil, and chives in our herb garden. For our main garden, we purchased a raised garden system. 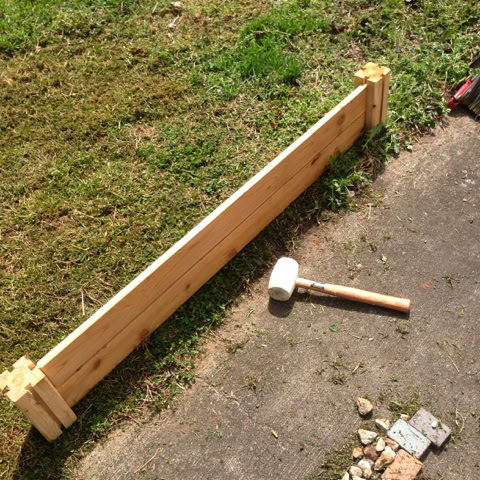 I have to say that it was way easier to use this system than to build it with landscaping timbers and screws. I also loved how the packaging gave us the exact amount of soil we'd have to purchase. So what are we planing in our garden? Well, we purchased 2 tomato plants and 2 pepper plants. We're also planting green beans, snow peas, radishes, cucumbers, lettuce, and spinach from seed. This week we'll plant the seeds that can go in the ground. The beans and the cucumbers need to wait to go in the ground, so we've taken this as an opportunity to teach our children. Each of our girls got two bean seeds to plant in a paper cup. We talked about what a seed needed in order to grow. Obviously, we are getting a little more comprehension out of the 6 year old than the preschoolers. What else are we hoping to teach? Well, the biggest lesson is patience. The germination for this variety is only a week (mama though ahead), but with a little over 48 hours later, all three of my girls have checked their plants multiple times. We'll also teach some science, but patience is the main lesson. Hopefully they'll all want to eat the veggies once they're grown!